After completing the Wilson Trail we decided to have a break – so there won’t be many new hikes being posted over the next weeks (at least until it is a little warmer) but we made one exception. 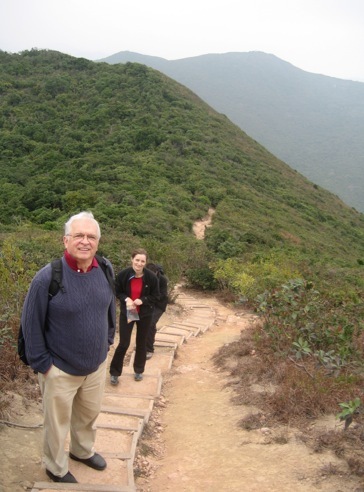 While my parents were visiting, we explored the famous Dragon’s Back (which is part 8 of the Hong Kong Trail, which we aim to attempt later this year). Unfortunately the weather was horrible, foggy and no view at all, but at least the temperatures were ok and it was not too humid. We took the MTR to Chai Wan and from there a taxi to the starting point at To Tei Wan. 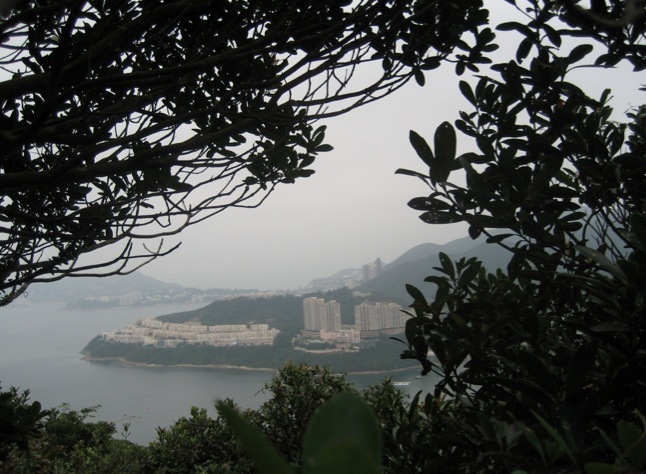 The trail starts besides a map and goes up a slope and then around a hill, which opens up on a view over to Tai Tam Reservoir and the houses at Tai Tam Bay. At the covered pavillion, we took the steps on the right up to the Dragon’s Back. 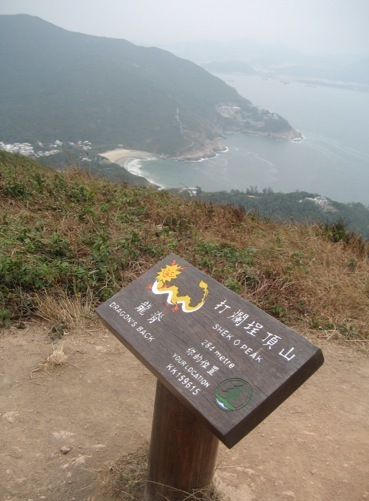 From there it is an ascent to the ridge, but it is well worth the effort, as you’ve got amazing views (when the weather is nicer and the view clearer) over Big Wave Bay, Tai Tam Bay and Shek O. It is a windy spot, up there on the ridge, and we saw a few paragliders and small toy airplanes up on the sky. 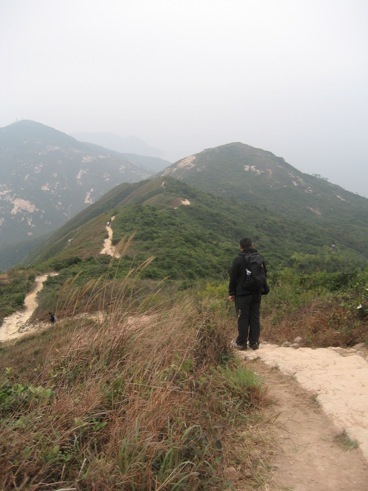 We continued our walk along the spine of the Dragon’s Back, next to dense shrubbery on either side of the trail. 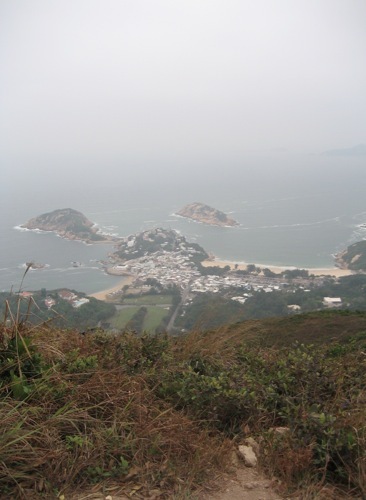 We crossed the summit of Shek O Peak and from there on it was all downwards. 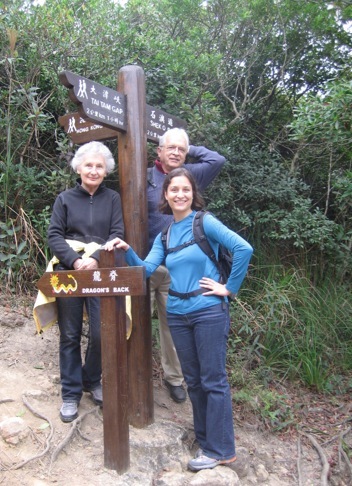 We walked under tree-shaded pathways of gravel and sand, fallen leaves and tree roots – a welcome antidote to the paved section at the start of the trail. 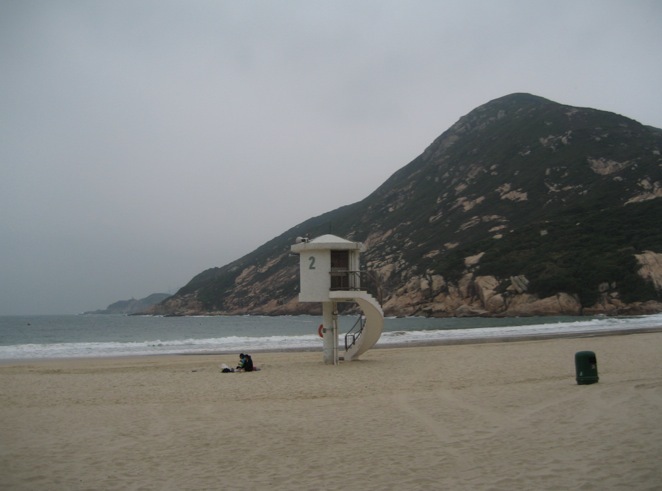 At the end of the walk, we took the minibus to Shek O and strolled to the beach. 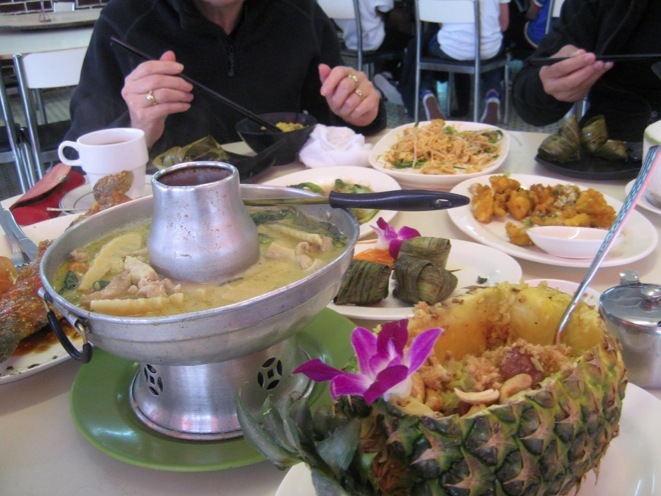 Of course, we then had Thai for late lunch/early dinner, as this is what almost everyone visiting Shek O does/eats (yes, Shek O is famous for its Thai restaurants! ).